WikiLeaks Halts Operations, May Have To Close : The Two-Way "An arbitrary and unlawful financial blockade ... has destroyed 95% of our revenue," the group says. Saying that "an arbitrary and unlawful financial blockade ... has destroyed 95 percent of our revenue," WikiLeaks has suspended publishing operations and founder Julian Assange says it may have to shut down permanently by year's end. The whistle-blowing operation is famous for its uncovering of U.S. diplomatic cables and other materials that governments and corporations wanted to keep secret. But the decision by some U.S.-based financial institutions, including Visa, MasterCard, Western Union and PayPal, to block would-be donors from using their networks to give WikiLeaks money has dramatically reduced its ability to raise funds. Those institutions took those actions after the leaking of the State Department cables. 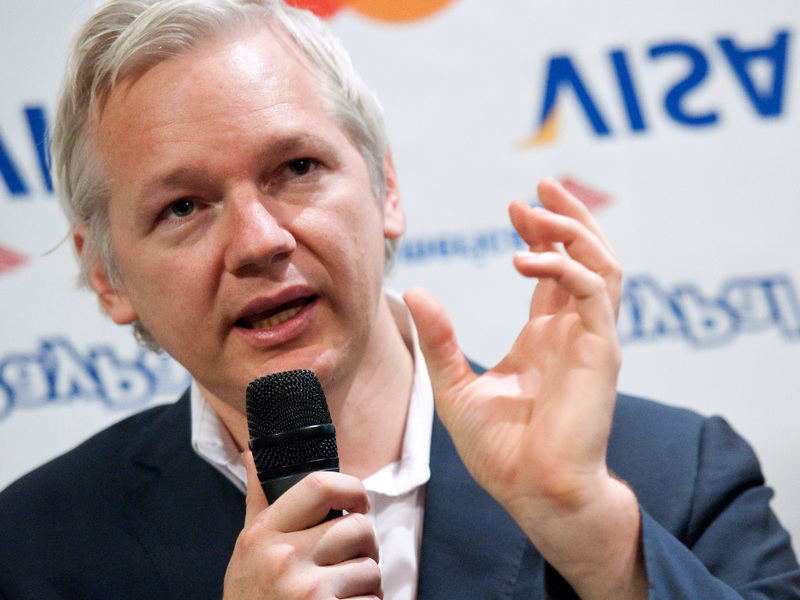 Now, WikiLeaks says in a statement, it has been "forced to temporarily suspend its publishing operations and aggressively fundraise in order to fight back against this blockade and its proponents." And Assange said today, according to The Associated Press, that "if WikiLeaks does not find a way to remove this blockade we will simply not be able to continue by the turn of the new year. If we don't knock down the blockade we simply will not be able to continue."